PuTTY is the best SSH client and it’s free. But it lacks of this little function that I really want – Automatic login. So I have searched many Google pages and found this PuTTY Connection Manager which I explained details in my previous post. It is a very good software. But somehow I wanted the auto login function without the extra programs. I wanted it to be done directly with PuTTY, not within the frame of PuTTY Connection Manager. 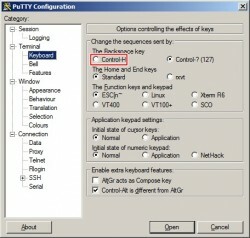 And I found this software called AutoHotKey (http://www.autohotkey.com/) which can automate keyboard and mouse actions. But I gave up to use it at that time because I was too lazy to read all the instructions and to come up with a script for the auto login. ; You need to define the full path where the putty.exe exists . 'putty_profile' should be existing profile name. If you want to try this yourself, you will need to change some information. 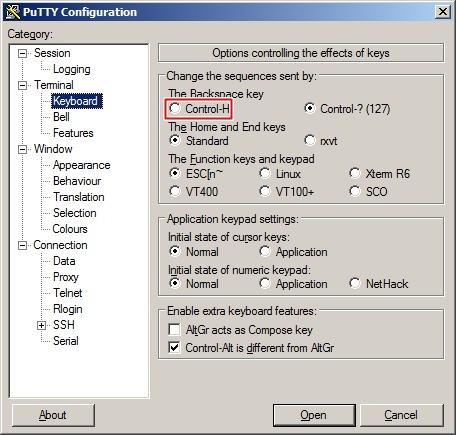 This is a simple tip for PuTTY Configuration. When you first use PuTTY , you will find the cases that BACKSPACE would not work and showing as strange sequence of ^ and question mark (^?^?^?) for some UNIX servers. You can fix this problem just by changing the setting. Select Terminal Keyboard at the left TreeView control of the main PuTTY screen and select Control-H instead of default Control-?(127). Also make sure you save the settings. Come visit again for more information on PuTTY Automation and Configuration Tips.